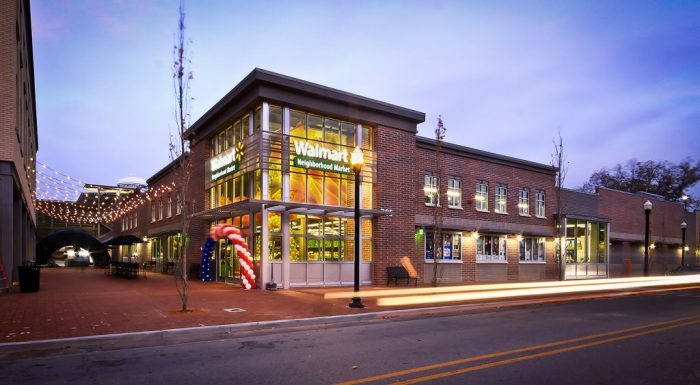 Midtown Center is mixed-use facility developed by Walton Enterprises, just down the street from one of Sam Walton’s original five and dime stores. 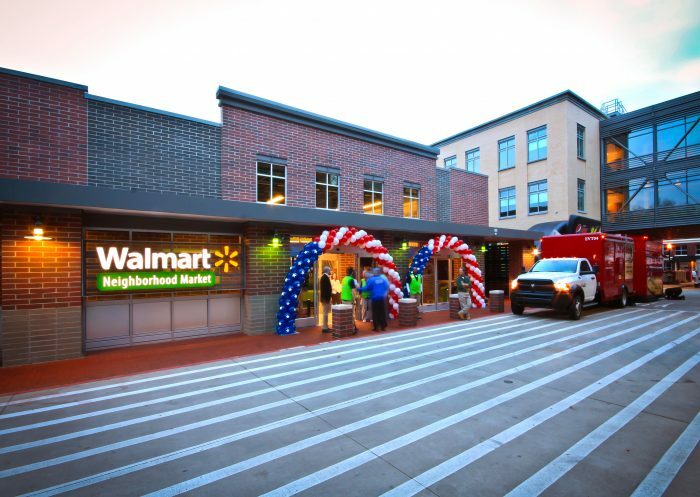 Located just off the active downtown Bentonville square, the center is anchored by a Walmart Neighborhood Market with two three-story buildings and a 251-space parking deck with 251 spaces. 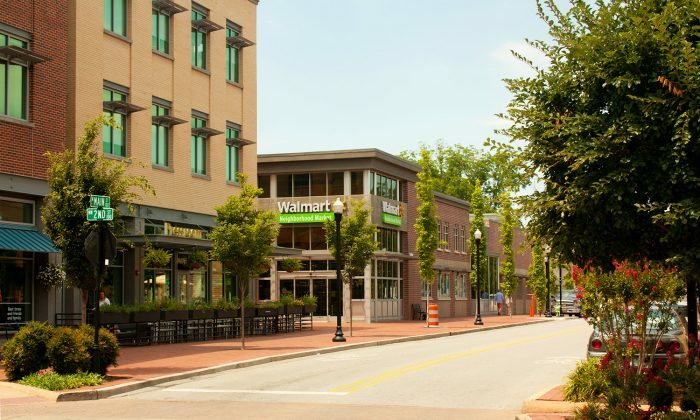 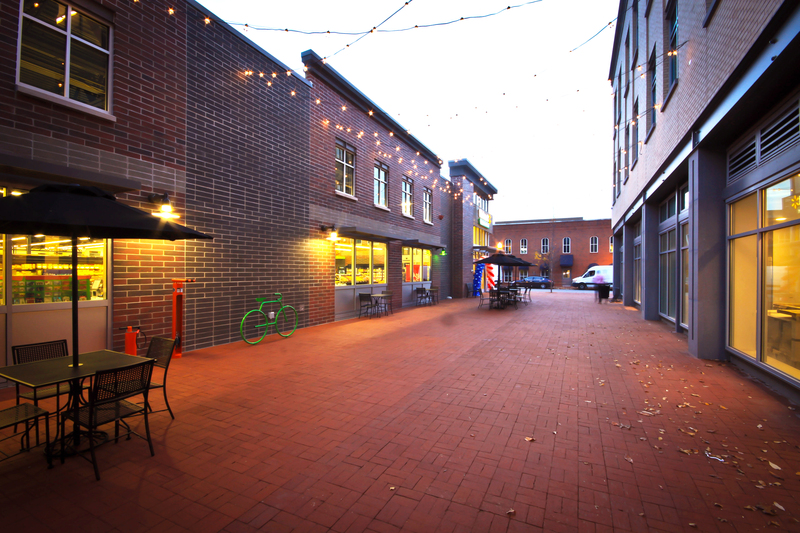 The Neighborhood Market was designed to seamlessly fit into the historic downtown area and complement the architecture of the Midtown Center, melding into the streetscape with lots of windows, a more urban entry design, and plenty of bicycle and pedestrian access. 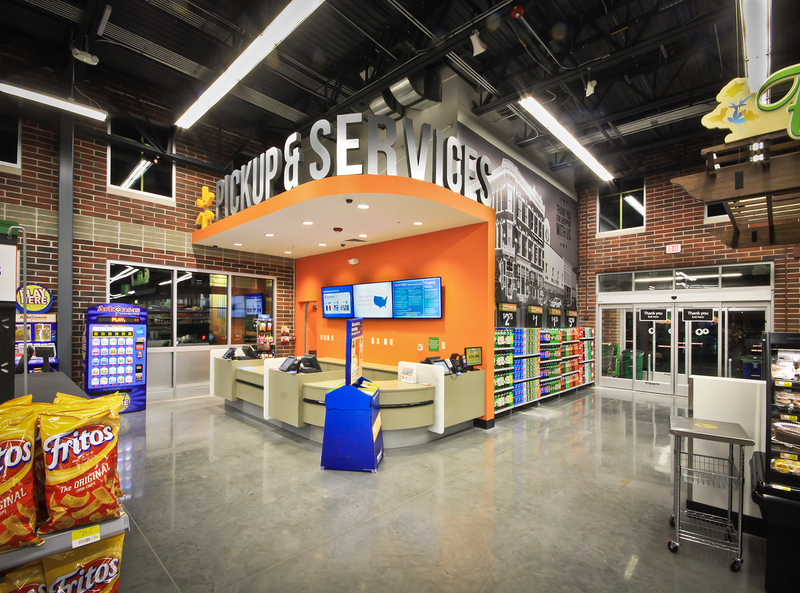 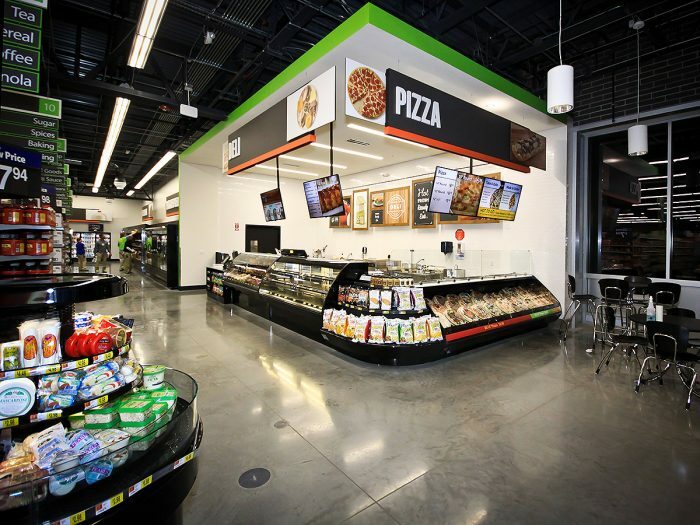 It includes several unique options such as grab-and-go lunch and dinner products, in-store seating, a “build your own’ pizza” counter, and a full-service bakery and deli. 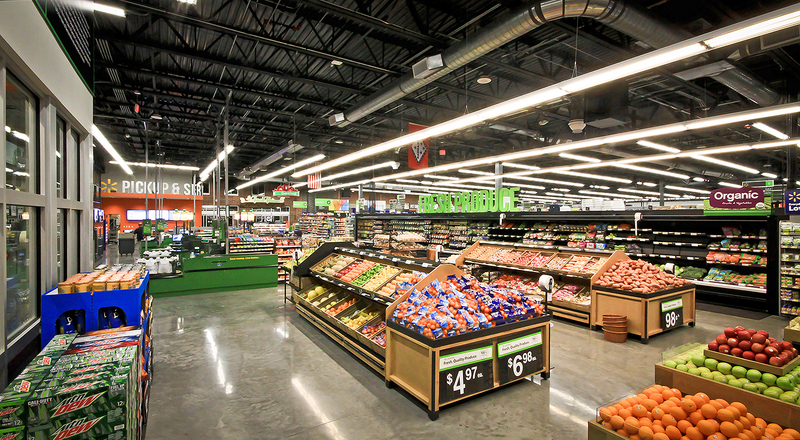 The unique look of the exterior and the special interior elements required the exposed structure to be seamlessly integrated with the architectural, mechanical, electrical and plumbing elements.